Brand new large format edition of a popular Veloce classic. Now with over 100 extra images and 224 artpaper pages. 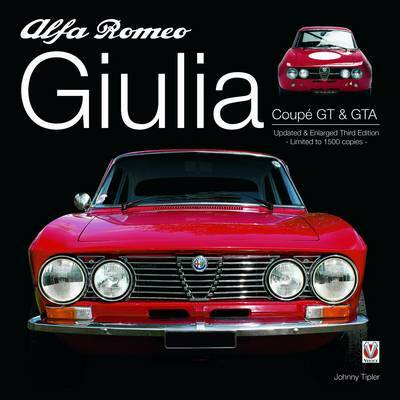 Covers all the shapely & collectible Giulia coupes, including the fabulous lightweight GTA racer. Recognised the world over as THE book of the Alfa GT and GTA models, it tells the story of the Giulia from Giugiaro's drawing board to the showrooms, roads and racetracks of the world. Also included is practical advice from leading experts on buying, restoring and caring for Alfa's classic Coupe together with production figures, road test data, homologation papers, addresses of clubs and specialists, reproductions of contemporary ads and brochure pages and much, much, more.